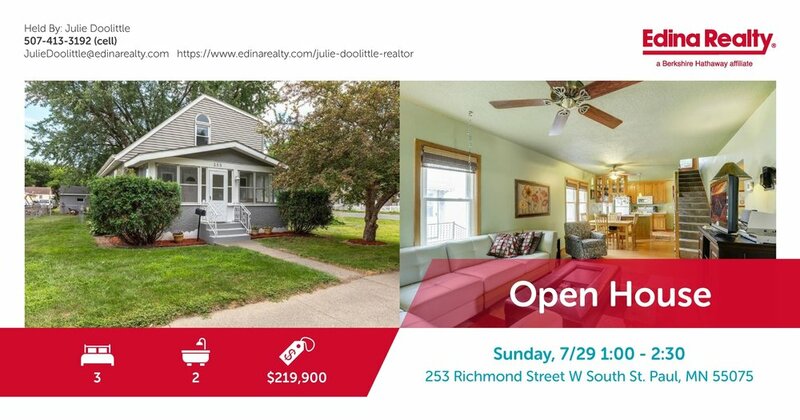 I'll be hosting an open house this weekend and this great starter home in South St. Paul. Enjoy the second floor master suite, large corner lot, and open concept main level. All for only $219,900!